For many years, Overdrive Productions, an authorized Bose® Dealer, has been a respected Professional Sound System Design Consultant for many Music Professionals, Businesses and Houses of Worship in the Dallas and North Texas region. You can trust ODP to help you select the right sound system equipment at the best price. 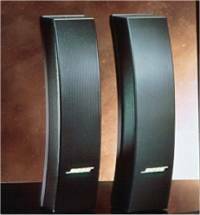 We are professionally trained and certified in Bose® installations.